It's time to check out this month's Boxycharm box! 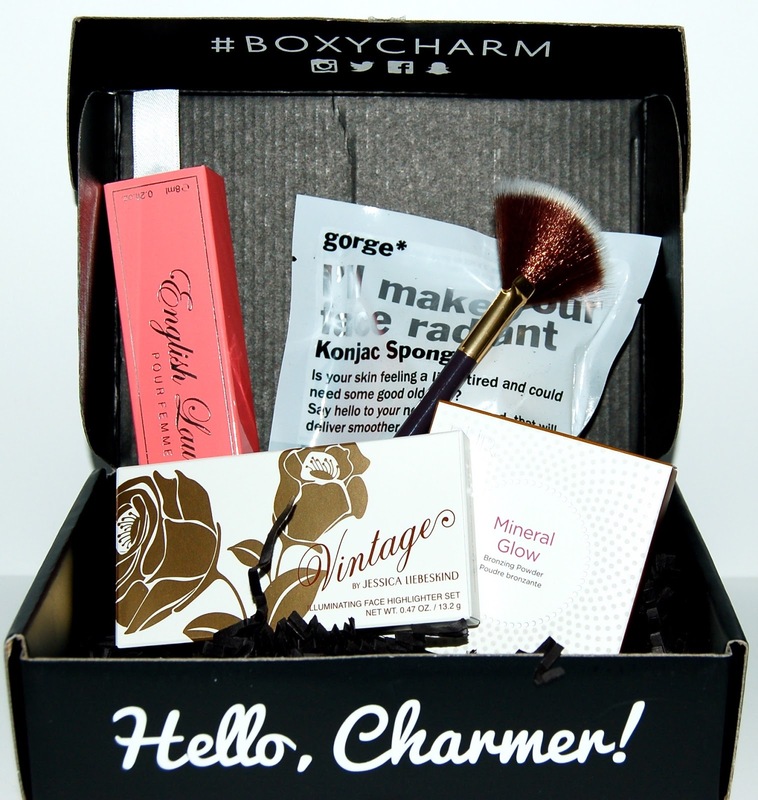 The theme for this month's box is "And The Charm Award Goes To..." which I guess signifies the start of Hollywood awards season. Here's what was in this month's box. This is a sponge that is made from konjac root (though I'm not sure what that is). It's naturally deep-cleansing and can be used on the face and neck. It's totally stiff when it's dry but becomes soft once it's wet and can be used with or without cleanser. I've had a chance to use this and it really becomes completely soft. It's so soft in fact, that I'm not sure what kind of deep-cleansing effects it has but it's nice to use when my Clarisonic isn't available (i.e. it needs to get charged). This isn't actually a roller ball, it has a sprayer which I prefer anyways. It's a nice smelling perfume, flowery and flirty. I'm so glad that we got a fan brush in this month's box because I don't own one yet and have been meaning to buy one. It pairs well with the Vintage highlighters we received this month too! 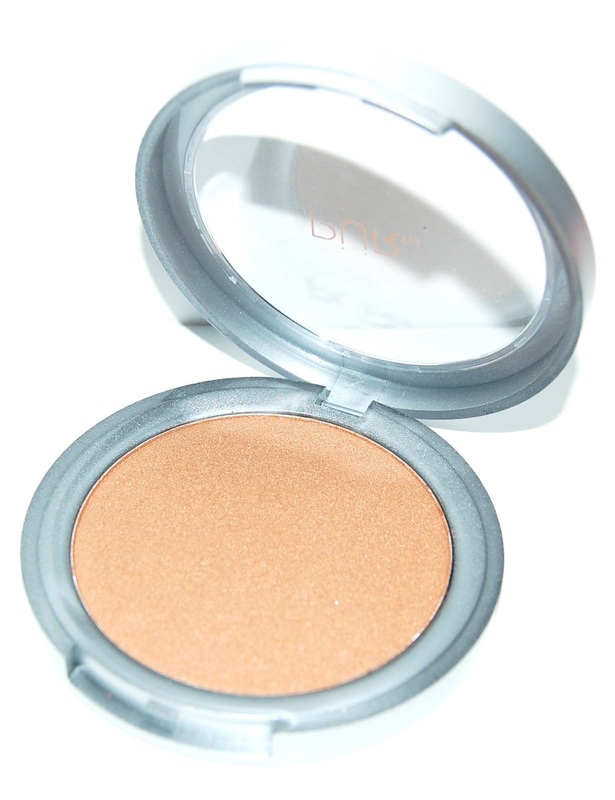 This bronzer has a pretty gold undertone and I'd say would be better for all over bronzing rather than contouring. 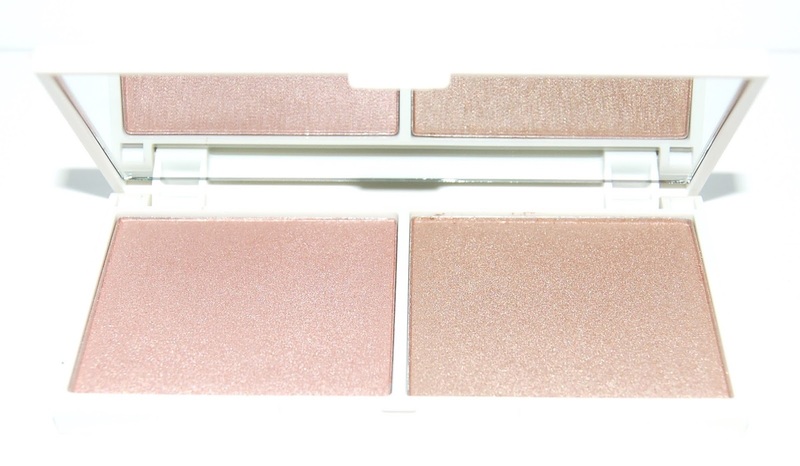 This set includes a pink highlighter and a more champagne highlighter. Both are really buttery and beautiful and subtle. 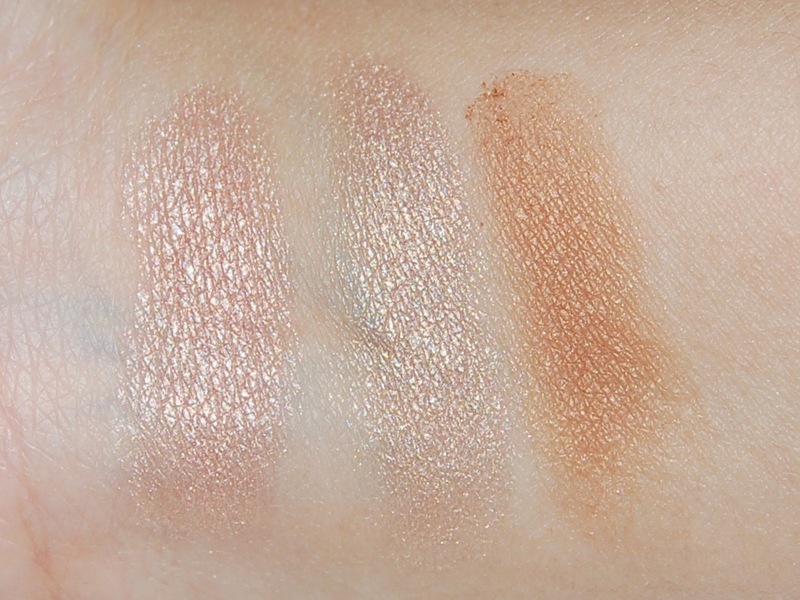 I prefer the Chocolate Diamond shade for my coloring. I really like everything in this month's box! 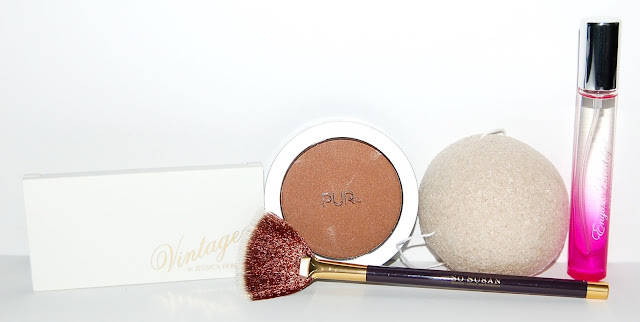 I will definitely use every single item and I'm most excited about the sponge, fan brush, and the highlighting duo. Each Boxycharm box costs $21, you can cancel at any time and shipping is free. The retail value of the items in this box comes to $122, that's more than 5 times the cost of the box!